CASINO INDUSTRY RECOVERS DESPITE CHALLENGES. 30 October 2018. The Casino Association of South Africa (“CASA”) publishes an annual survey of the casino industry in South Africa, providing an overview of the health of the industry based on the research findings and statistics published by gambling regulators, CASA member casinos and independent studies. Its Survey of Casino Entertainment in South Africa that was issued in 2017 showed that the casino industry had experienced its first contraction (down 1.8%) since the industry’s inception in 1997. This year’s edition (i.e. the year ended 31 March 2018) showed it bouncing back to generate R18.5 billion in gross gambling revenue (“GGR”) – an improvement of 3.5% over last year’s figure of R17.8 billion and a testament to the industry’s resilience and sustainable business practices. CASA warns, however, that the challenges that led to the previous decline in GGR have not gone away, and are, in fact, worsening. 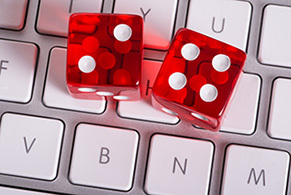 Difficult economic conditions, the runaway growth of illegal gambling operations and the growing uncertainty regarding the gambling regulatory framework are making it harder for the casino industry to realise its full potential. Besides being valuable employers and supporting over 38 000 jobs, CASA members are an enormous contributor to the South African economy, paying R6.1 billion in various taxes and levies at national, provincial and local levels in the year ended 31 March 2019. This makes government the largest recipient of value generated by CASA member casinos, collecting what amounted to 37% of the value generated by CASA members in the year under review 2018.